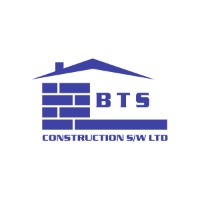 Hello and welcome to BTS Construction SW Ltd! We are a family run business operating since 2001. Based in Plymouth, we offer out services throughout the surrounding area. We are a great team on board and are ready to take on any construction or renovation works. For peace of mind, we are fully insured up to £2,000,000. We only use tradesmen that are fully qualified and experienced and that we know to be trustworthy. We have a great client base and get the majority of our work through recommendations from our previous customers and repeat work. We have taken on a wide range of projects, covering everything from bathroom refurbishments through to a double story extension complete with a lift shaft for a disabled client. We can also cover patios, garages, extensions and complete renovation, and both internal and external plastering. We take pride in being friendly and completing our work to our customers' requirements and going above expectations. Please get in touch today for a free, no obligation quotation and see for yourself how good our prices are. We strive to provide our customers with fantastic value, advising clients on what is most cost effective without compromising safety or quality. Thank you for taking the time to view our website and we hope we can help with your next project. Offering our services throughout the surrounding area including Saltash and Devon. We offer a range of construction services including extensions, renovations and general building work. We have completed many successful projects and have the experienced to help you achieve your construction or renovation project. Before setting up BTS Construction SW Ltd back in 2001, I had experience as a foreman for several companies where my responsibilities included supervising 5 trades, ordering all materials and meeting with local authorities and clients on site. I am proud to have my own company where I work with a fantastic team in order to complete your building project.